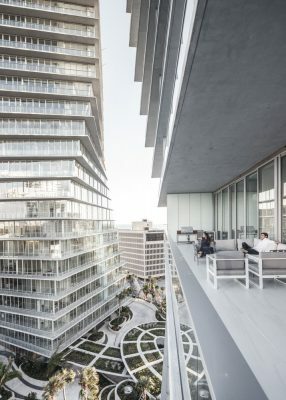 Twisting towers mark Danish architect’s first condominium completed in the U.S. More than half of the project’s 98 units are owned by domestic end-users. 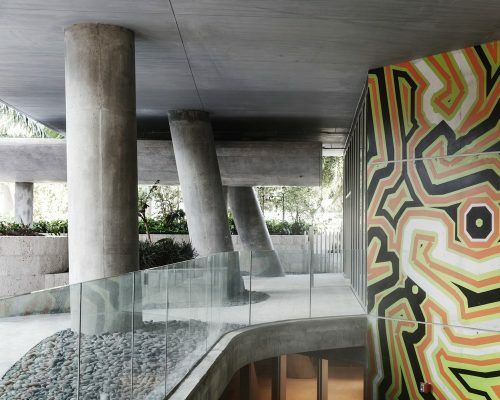 One of Miami’s most historic neighborhoods has a new architectural icon to call its own. 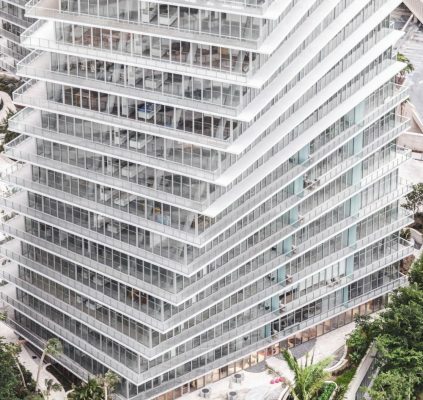 Construction of Grove at Grand Bay, Terra’s new Bjarke Ingels-designed development in Coconut Grove, is now complete as residents take ownership of their units, begin interior build-outs, and prepare to move-in this fall. 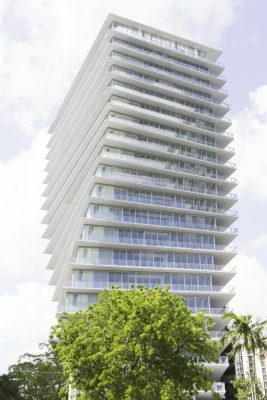 The sold-out development, comprising of two twisting 20-story glass towers that mark Ingels’ first completed condominium design in the U.S., has helped lead the rejuvenation of Coconut Grove’s business district, which is coming alive with upscale retailers and restaurants ahead of new residents moving in. 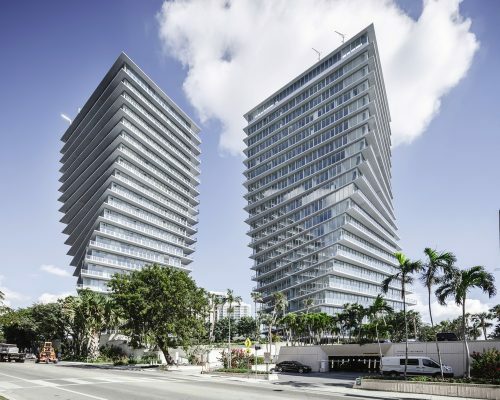 Located at 2675 and 2669 South Bayshore Drive, Grove at Grand Bay becomes the first new residential towers to be completed in Coconut Grove in more than 10 years. 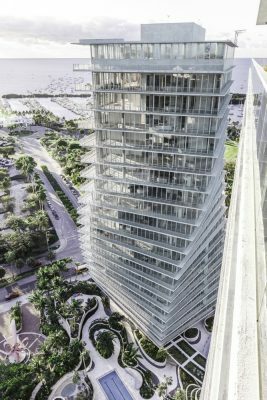 The development overlooks Biscayne Bay and the newly-developed Regatta Park – with views stretching to Key Biscayne, downtown Miami and Miami Beach. Coconut Grove’s business district, home to Miami’s most popular cafés, lounges, bookstores and boutiques, is within walking distance. 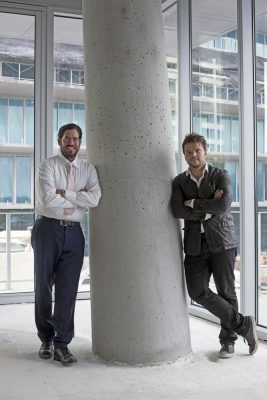 Terra, which has been one of South Florida’s most active development firms over the past 15 years, assembled an international design team to bring the project to life. Leading the charge was Danish architect Bjarke Ingels and his studio, BIG. Ingels blends the development with its Coconut Grove surroundings, characterized by organic forms including the water and dense foliage. Outdoor spaces provide the focal point for the property’s common areas and individual units feature expansive outside living areas, including 12-foot-deep balconies. 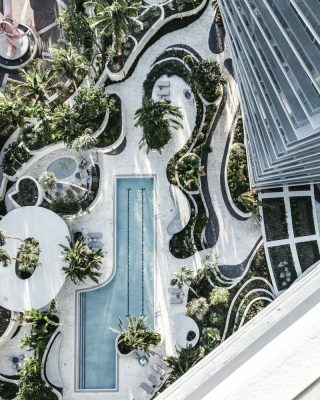 Grove at Grand Bay’s landscape architecture is the brainchild of Miami designer Raymond Jungles, who uses simple-yet-detailed hardscape elements created by Ingels as the backdrop for a program including nearly 500 trees, more than 15,000 plants, and numerous water features. 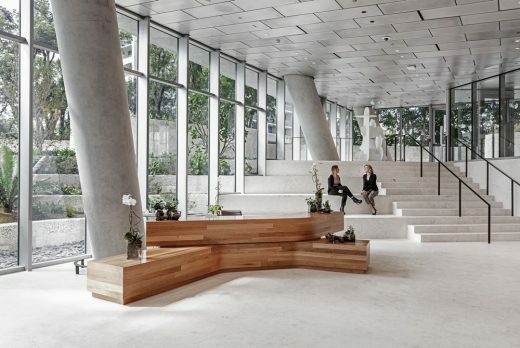 The result is a lushly-landscaped campus that echoes the natural aura of Coconut Grove and promotes sustainability, with Grove at Grand Bay poised to become the first all-residential tower to achieve LEED Gold (Leadership in Energy and Environmental Design) status in Florida. Grove at Grand Bay launched in 2012 and became an instant favorite of international and domestic buyers in the market for spectacular design, panoramic views and personalized amenities in a walkable, urban setting. 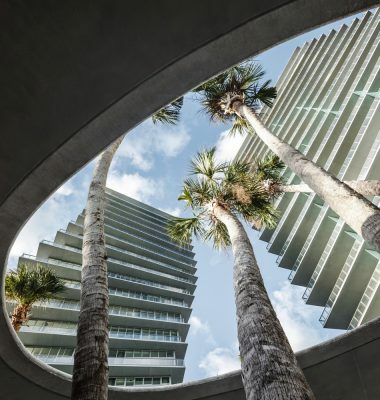 Since then, more than half of the sold-out development’s 98 units have been purchased by U.S.-based buyers, including a significant number of South Florida residents transitioning from single family homes to high-rise living. Miami’s premier residential real estate brokerage, Cervera Real Estate, is managing sales for the property. 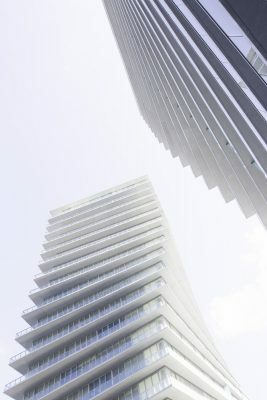 “We were first attracted to the idea that Grove at Grand Bay is a spectacular building that offers a refuge while still being in the heart of Miami. This development takes you outside the chaos and electricity of Miami and sets you down in a neighborhood. It’s a brilliant building in an idyllic place,” says buyer Gary Wasserman, a Detroit-based art gallerist and philanthropist who divides his time between Michigan, New York and Florida. Complementing the designs of Ingels and Jungles will be an extensive art collection, valued at more than $1.2 million, featuring original works by Alice Aycock, Tara Donovan, Gim Hong-Sok, Jim Drain, Olafur Eliasson, Cerith Wyn, Jeppe Hein, Nathan Mabry, Geoff McFetridge, Pedro Reyes, Pae White and Antonia Wright. Amenities on-property include rooftop pools for residents of each tower, a five-star spa and fitness center, full-time concierge and butler service, a private dining room for residents and their guests, and a pet spa. Residences range in size from 1,300 square-feet to a 10,000 square-foot full-floor penthouse with an additional 5,000 square-feet of outdoor space, including a rooftop terrace and private pool. Those totaling more than 4,000 square-feet are accompanied by private 2-car garages, with the South Tower penthouse accompanied by a private 4-car garage. All units feature 12-foot high ceilings and glass doors. The project has been recognized with a number of honors and awards for its achievements in development, construction quality and engineering excellence, including the National Council of Structural Engineers Association’s (NCSEA) 2015 Excellence in Structural Engineering Award, the Concrete Industry Board’s (CIB) 2015 Award of Merit, and the American Council of Engineering Companies (ACEC) of New York’s 2016 Engineering Excellence Awards. 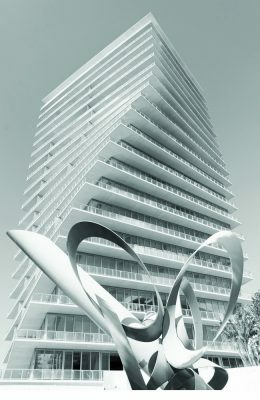 Terra’s next residential development, Eighty Seven Park, will soon rise in Miami Beach’s North Beach neighborhood. 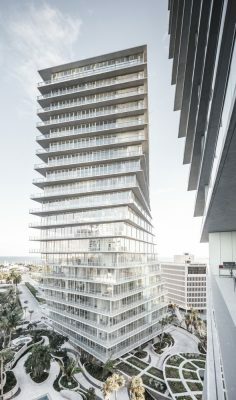 That project, designed by Pritzker Prize-winning architect Renzo Piano and featuring landscapes by West 8, will comprise 70 oceanfront residences adjacent to a 35-acre public park. 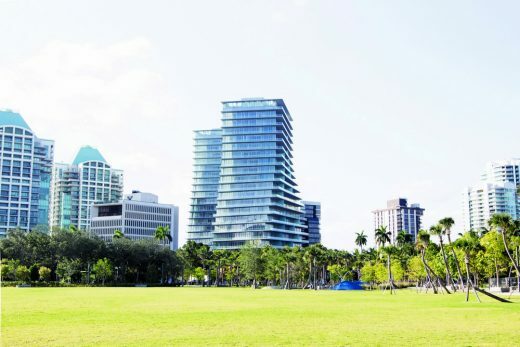 Other Terra developments currently underway throughout South Florida include the Rem Koolhaas-designed Park Grove, also in Coconut Grove; Modern and Neovita in Doral; and a master-planned community in Weston designed by architects Chad Oppenheim and Roney J. Mateu called Botaniko Weston. Terra is an integrated development firm in South Florida focused on creating sustainable, design-oriented communities that enhance neighborhoods and bring people together. Led by Pedro and David Martin, Terra was founded in 2001 and is involved in all facets of residential and commercial development, including realty, mortgage, marketing and construction. The firm’s portfolio includes luxury high-rises, single family homes, townhouses, retail shopping centers, office space and multifamily apartments, both in urban and suburban areas across South Florida. Terra’s current developments are valued at $4 billion, with more than 10 million square feet of residential and commercial development built to date.